This is for OIT managed Macs. 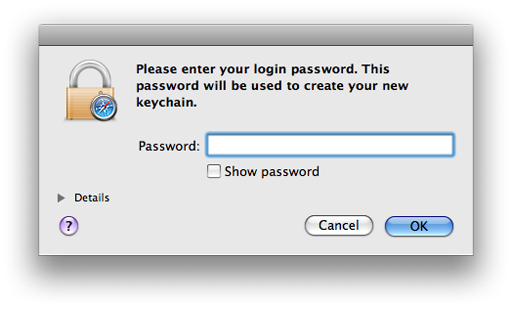 Apple systems use a password management system called the mac keychain in which it will save authentication credentials. 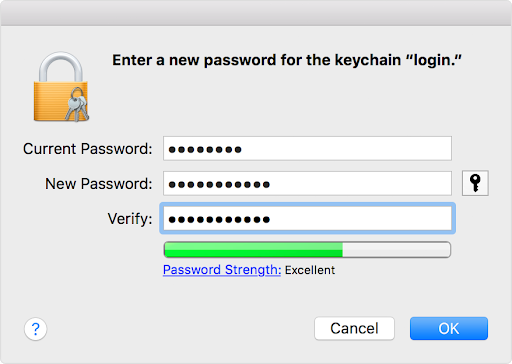 In the event that a credential such as the Odin password has changed the mac OS will not automatically update the local keychain entry saved for that credential. To resolve issues related to keychain authentication after a Odin password change for a OIT managed device, follow the instructions below that best meet your need. When the device requires a update on the login keychain a prompt should appear on the login screen as shown. TO DO THIS: You must know both current and old Odin password If you don’t remember the old password, move to option 2 below. If you are already logged in, make sure there is an active internet connection and log out of the system. Once back on to the login page, the prompt shown above should appear. Click Update Keychain Password. Enter your old Odin password, then enter the current password and click OK, this should successfully update the Odin login credentials saved in the mac keychain utility. NOTE: This method will only work with the new password and is recommended if the old password cannot be recalled. If you are already logged in, make sure there is an active internet connection and log out of the system. Once back on to the login page, the prompt shown above should appear. Click Create new Keychain. Enter in your current Odin password and click OK, this should successfully create a new keychain for the current password. ADDITIONAL NOTES: If both of these methods fail, the account may need to be deleted and re-created. In this which case, having OIT re-image (reload) the computer is the recommended fix. When your keychain access login has been deleted when you create a new keychain, applications will need to regain password information to be stored in the new keychain. Prompts such as the image below are normal and should be expected.